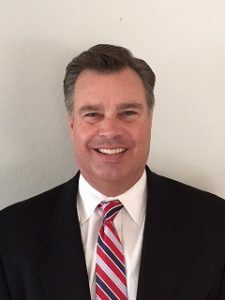 May 27, 2015 – DKI, North America’s largest disaster restoration contracting organization, today announced its newest addition, Vice President of Sales and Business Development Ken Campbell. With over 22 years of experience in the insurance claims and disaster restoration industries, Campbell is well known in the property restoration industry. He brings his wealth of knowledge and experience in ownership, sales management and account management from several restoration companies, including Steamatic, Inc., ServiceMaster Clean and Certified Restoration Dry-Cleaning Network (CRDN). Campbell also has seven years of property claims adjusting, claims management and vendor management experience with a large national insurance carrier. He is IICRC Water and Fire certified and has provided CE classes to countless insurance adjusters and professionals. Campbell has earned a reputation for building strong strategic relationships, creating “win/win” business solutions, and providing great customer service. He is a high energy, high integrity mentor and collaborative leader. “We are very excited to have Ken join our team, and believe he will be a beneficial asset with his leadership skills, experience and knowledge in the industry,” said DKI President and CEO Dan Cassara.